With her first three fragrances, Neela Vermeire offers a festival of colour, fragrances that showcase exotic ingredients and smell as vibrant, lively and diverse as the country that inspires them. Trayee opens with the wonderful savoury note of cardamom and straight away it is joined by big, bold and juicy blackcurrant, the warm spicy/herbal nature of the cardamom (a note that should be used more) really contrasts the fruity notes and it’s this contrast of sweet and savoury that makes the opening so pleasing to the nose. The opening is bright, tart and full of warm, tasty herbs and spices. The opening is followed by a flash of florals but they seem to hide amongst the smoky incense that dominates the rest of Trayee’s development. The blackcurrant and cardamom settle, but thankfully they don’t ever really go away, they make way for rich, smoky and woody notes. Bertrand Duchaufour is a very versatile perfumer, throughout his career he has proved that he is a dab hand at creating many different styles of perfume, however he really excels with wood and incense, and Trayee is no exception. Trayee takes a sharp left turn away from the fruity, spicy notes of the opening and head towards warm incense, sandalwood and cedar. The transition from hugely fruity/cardamom opening to incense smoke and woods is unexpected but wonderful. There is a wide variety of textures within the base; creamy sandalwood, spiky cedar, fuzzy incense, and cosy amber. Oud is listed but If there is oud it’s pretty well hidden, there is a richness to the woods in the dry down that could be due to the oud and I’m glad it’s not too prominent. Trayee feels like it could be a delicious indian desert, complex in its composition but simple in its flavours – the juxtaposition of colourful fruit and exotic spices. I don’t think I’ve smelled a perfume like it before and if I had to pick a favourite (it’s difficult, they are all very good) Trayee would be it. Mohur is perhaps the most sedate of the three fragrances but that’s not a bad thing at all, it is a big beautiful rose. Rose is a multi-faceted note, and in Mohur the varying facets of the flower are showcased. This rose starts dry and dusty, it is warmed up by spice but then softened later on in the composition by powdery orris, which plays to the rooty, vegetal facet of the rose. As Mohur develops, the rose changes once again and this time it becomes richer, jammier and has an almost marzipan-like feel to it, thanks to the violet and almond milk. It’s hard to smell Mohur and not compare it to one of the greatest rose perfumes of all time – Nahéma, and there are some similarities in the opening, but If Nahéma is a rose in technicolor then Mohur is a rose shown in 3D on an iMax screen. Mohur is sweeter, less aldehydic and in it’s opening stages much drier, but just like Nahéma it is beautiful. The oud is quite prominent in Mohur, it brings out the sourness of the rose, but unlike other rose/oud combinations the oud never takes over and it smells very different. The base is full of warm creamy notes including; vanilla, tonka and sandalwood, the rose holds strong for the entire development and what’s left on the skin is a lovely blend of wood and vanilla with a touch of rose. If you like rose then Mohur is a rose that you absolutely must try. Bombay Bling! is meant to represent Modern India, it is also by far the best name for a perfume that I’ve heard in a long while and it perfectly sums up the vivacity and overt fruitiness of the fragrance. The ‘Bling!’ here is represented by a colourful explosion of fruit, a fruity cocktail of mango, lychee and blackcurrant, there is also a good dash of mint thrown in for good measure. Fruit cocktail isn’t something that is new in fragrance, in fact we are used to the hideously cloying and sickly fruity top notes of many a celebuscent and designer release but when fruit is done well, there is nothing better. The fruit in Bombay Bling! is very fruity indeed but it also has a mouthwatering freshness to it that stops it from dancing (this fragrance definitely dances) into sickly territory, the herbal quality of the mint and the peppery facets of the mango also help. The fruity accord is supported by a white floral accord. The general impression of the white floral accord is that it is just that, an accord, no single flower raises its head above the parapet, that said the accord does showcase the more tropical side of each flower, but the overall feeling is that of white flowers working in harmony and adding a wonderful tropical facet to the overtly fruity notes. There is also a creaminess to the florals, a facet that I always find pleasing in a good floral, that plays nicely with the fruit. Bombay Bling! settles on a lively wood/musk base, it keeps it’s spirit all the way to the end and despite the fact that it doesn’t feel as heavy in the base as the others, it does feel exotic and maintains that wonderful fruity, fresh quality that makes it so great. Bombay Bling! is a lot of fun, but it’s also very well done and as far as fruity scents go I think it’s one of the best available. I dare you not to like it! Trayee, Mohur and Bombay Bling! are available in 55ml Eau de Parfum housed within an ‘exclusive French Art Deco bottle’, price TBA. For those who are interested in trying the three fragrances you have two options, firstly there is a Discovery Set available containing 3 x 10ml sprays, one of each fragrance for 75 EUR, and there is also the ‘Try Your India’ Trial Set which contains 3 x 2ml sprays, one of each fragrance for 21 or 22 EUR depending on your shipping location. 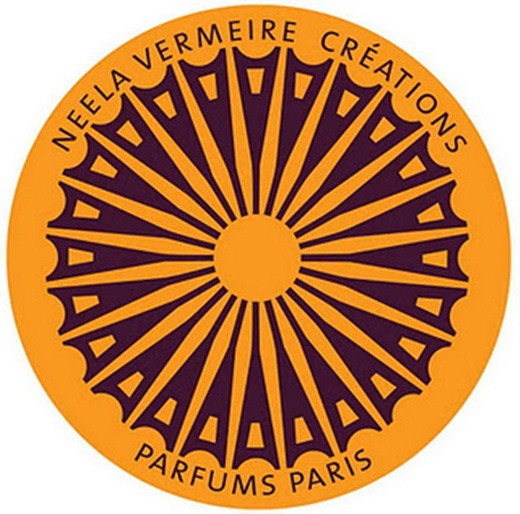 Currently, Neela Vermeire perfumes are only available through the e-boutique on neelavermeire.com. This review is based on samples of Trayee, Mohur and Bombay Bling! provided by Neela Vermeire. Posted in Floral, Fruity, Neela Vermeire, Oriental, Perfume Reviews, Woody and tagged 2011 Release, Bombay Bling!, Fruit, India, Mohur, Neela Vermeire, Oriental, Oud, Spice, Trayee, Wood. Bookmark the permalink. Beautifully written reviews, thank you! They really are very beautiful fragrances. Definitely a true perfumista, we do love our small bottles! There’s almost nothing more mouth-watering than toasting cardamom, then crushing it with mortar and pestle… I agree with Tara, we need more cardamom! I would love to try all of these – they sound great! I hope they come to the U.S. soon. Hopefully they will! That said, I believe that NV will ship to the U.S. I don’t know about shipping costs though. Well, I wouldn’t rule any of these out, and thanks for bring them to our attention – quite intrigued by Mohur and Bombay Bling! in particular. Any Bertrand D scent has to be tried as a matter of principle and I am curious to see what he would do with all fruit in Bombay Bling! Agreed, anything Bertrand has to be tried, I think it’s some sort of perfume law! ~ And you even have me now lemmin for a “fruity” (Not something that happens often). The bottles look really lovely too. They don’t particularly shout “art deco” to me as such. To me they are rather more reminiscent of cute ice-cream sundae dessert glasses/cups. (More “50ies”) ~ Either way, I like them ! Bombay Bling! is a fruity fragrance worthy of lemming status! I agree, there is something ‘1950’s diner’ about them isn’t there? I love the concept! 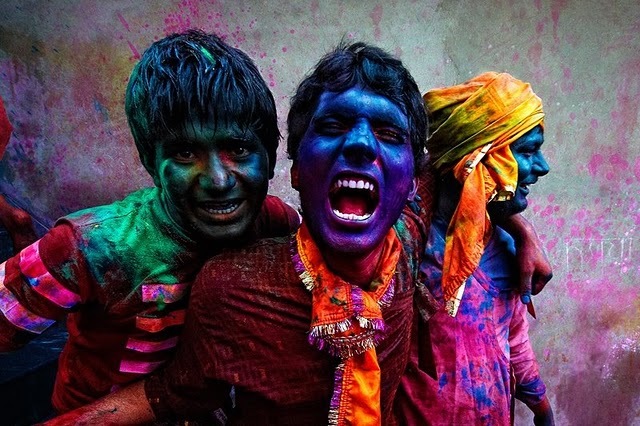 And I love that it is a more authentically Indian viewpoint, rather than an outsider’s view of a foreign country. Which of these would you say is the most masculine? I might get one for my father. I agree, I think the authentically Indian viewpoint really shows too, they are very representative of India and its culture. As for masculines, I would say that Trayee is probably the most unisex, it’s more feminine up top but it does have a good woody/incense base that would be good on a man. Mohur feels masculine-ish to me but my idea of masculine is very different to most peoples! It depends how he feels about rose I guess? I can only agree with what’s already been said. These sound intriguing! Oh, I hope to be able to try these! I need to smell Trayee ASAP! I found Trayee more masculine on me with all the wood and smoke, and Mohur was the feminine one, all sweet roses. Bombay Bling was very fresh and effervescent. I just received my discovery set and look forward to exploring them further! Shipping was 16 euros to the USA. I would agree with that, Trayee definitely feels more masculine and Mohur is definitely more feminine. Trayee sounds like a must try! Wish the oud was more prominant though. Can’t believe I haven’t heard of these. Trayee is DEFINITELY a must try, it’s fantastic, it’s all about the cardamom with this one! I love the concept and the notes, these are definitely must try fragrances for me! Once again, enjoyed your vibrant review! Thank you – these are wonderful scents not to be missed!